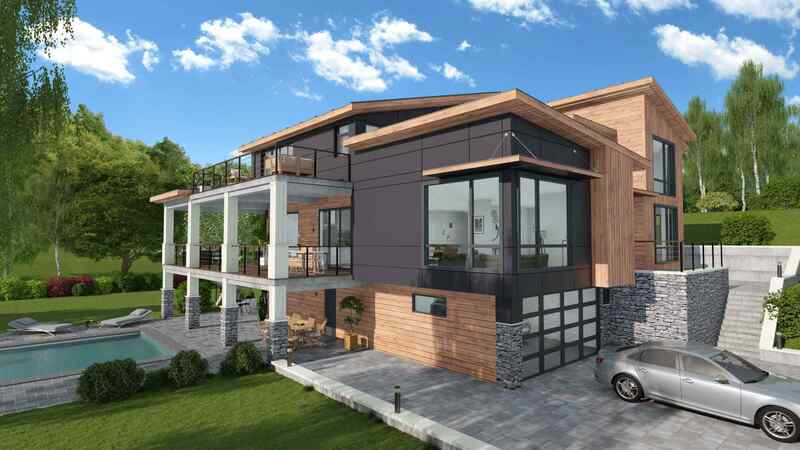 3D home design software: from floor plan to business proposal, just a few clicks to sell more! Cedreo in 1 minute video! 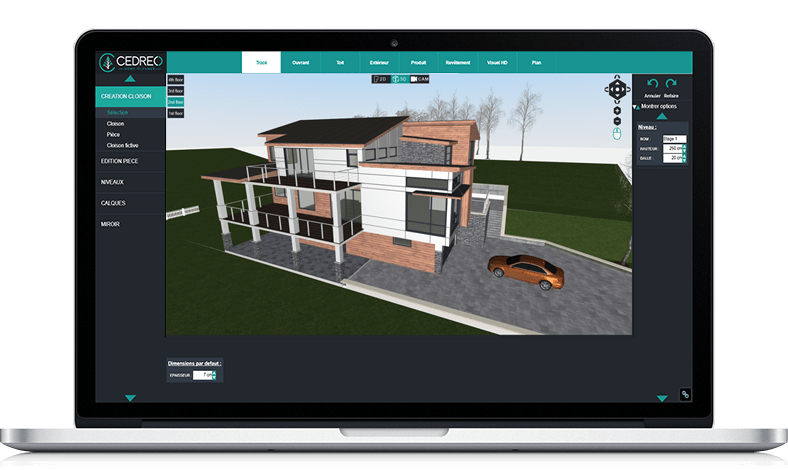 Discover why home builders, architects, and remodeling professionals save time on home construction projects with Cedreo 3D home design software. 3D visualizations reassure your clients regarding their home building or remodeling project and allow for faster decisions. 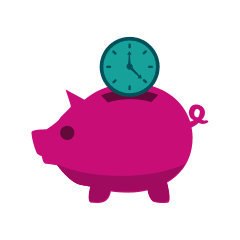 Less than an hour to create a home design project and share it with your client: Time saved at each meeting allows you to process more clients! No more starting from scratch! Be more efficient with Cedreo, start from previous projects and modify them to meet your needs. Showcase your best 3D renderings on your website and share them on social media pages to get a broader reach! Discover some 3D renderings created with Cedreo. 3D renderings help your clients visualize their projects before work begins, and help you sell faster. Discover our gallery. Drawing-up house plans has never been so easy! 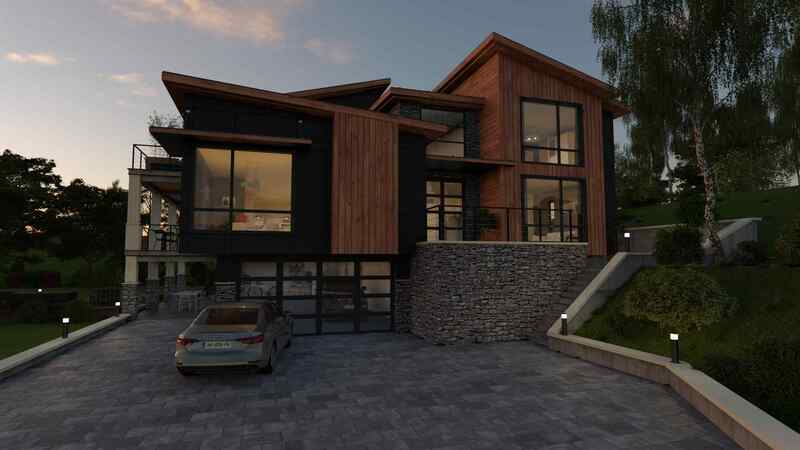 Our 3D home design software brings together all the necessary features for home building, remodeling, and home design projects. 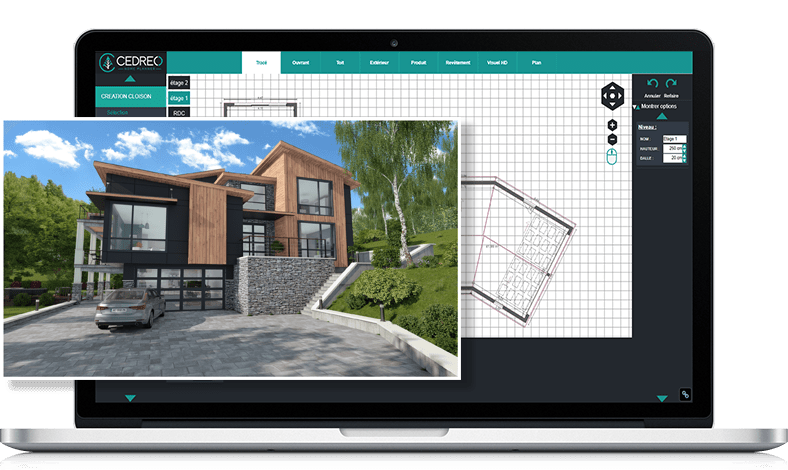 It’s easy-to-use and fast: get your house plans and 3D renderings in just a few clicks! 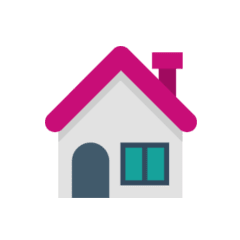 All of your home plans styles and designs are saved in your Cedreo account. 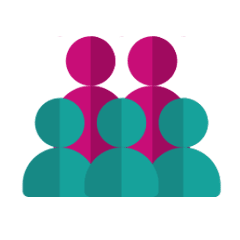 They can be shared with your colleagues, ready to modify and personalize for your clients. Easy to find and adapt for your latest projects. A library of more than 7,000 products and materials to personalize your projects and help your clients visualize their future home. Cedreo continuously enriches its library of 3D objects and materials to keep up with the latest styles. Enhance your commercial presentations and reassure your clients with realistic 3D interior and exterior renderings, and axonometric projections. 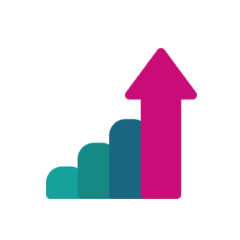 Share with your clients or develop your brand on social media, or on your website to trigger a ‘wow’ effect. Explore the articles covering the latest Cedreo’s features, keep up-to-date on 3D architecture news, and hear more about what our clients have to say. 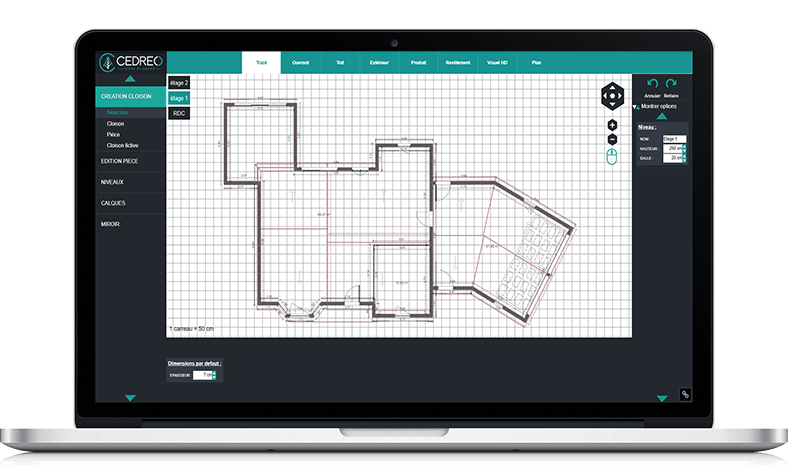 Cedreo is a 3D home design software for home builders, interior designers, and remodeling professionals. A simple and fast solution to help you increase your sales: one hour is all it takes to create a 3D floor plan and realistic 3D renderings. Design home plans on your own. With Cedreo, you can master the entire preliminary home draft stage and save valuable time by starting from previous projects, stored in your account and ready to personalize for your clients. 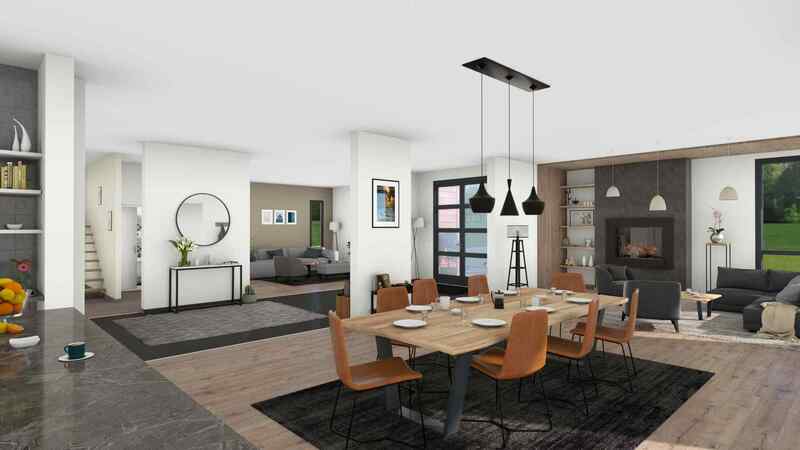 Used in commercial presentations, the 3D renderings allow your clients to easily picture themselves in their future home. Show them in 3D what their home will look like! Cedreo is the best 3D home design software to help your clients take decisions more quickly. Take away your clients’ doubts and make them fall in love with their home project, speed-up the sales cycle and increase your conversion rate. Share 3D renderings on social media, showcase your brand and attract new clients. Share your design expertize on your website through 3D renderings and improve your brand awareness. 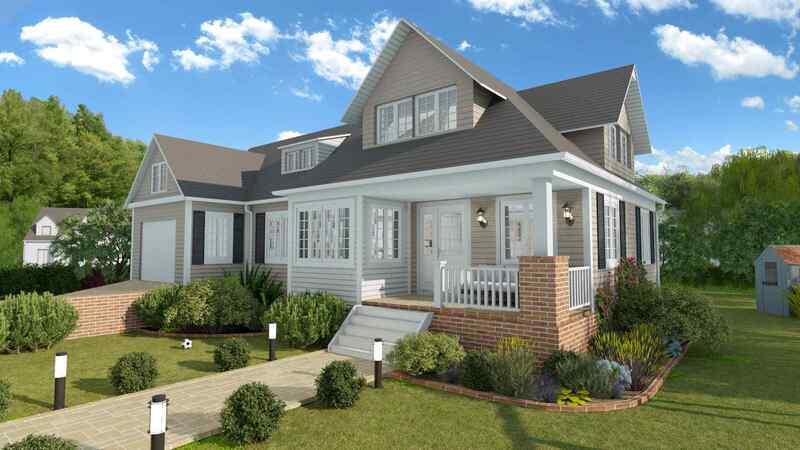 Our online 3D home design software, already counts more than 2,500 users. Contact us for more information.